(CNN) - Republican presidential nominee Mitt Romney on Tuesday issued a paper statement sharply critical of President Barack Obama over his handling of violence in the Middle East earlier in the day. The statement was released by the Romney campaign as the candidate arrived at the Jacksonville, Florida hotel where he was expected to spend the night. Early Wednesday, Obama campaign spokesman Ben LaBolt issued a statement in response to Romney's statement. “We are shocked that, at a time when the United States of America is confronting the tragic death of one of our diplomatic officers in Libya, Governor Romney would choose to launch a political attack,” LaBolt wrote. Well I am not surprised at the Obama team response to Mitt's "attack" but I was surprised that the president responded to the death with an apoligy to his killers! The attacks were very well planned for this very day to show the U. S. a thing or two and did we get the message? Obama showed us a thing or two also !!! America did you get the message ! Sean Smith, the American killed in Lybia, hated Mitt Romney's guts. If he had a shred of dignity you'll retract everything he's said about his death. President Obama is just that our President...he is supposed to lead...stop campaigning long enough to lead our nation for once and do something about the attacks on Americans in Egypt and Libya and stop cowering to our enemies! I would respect him more by putting America first...even during his campaign he is our President...so do something to show he can lead and not follow!!! Romney – Hot-head knee-jerk reactionary. President Obama – Cool head, calming thoughts and actions. Obama/Biden 2012 because we dont need a hot-head with his finger on the button. Let Adelson $$$$ and BiBi (war-monge4er) take care of themselves. NO MORE WARS. 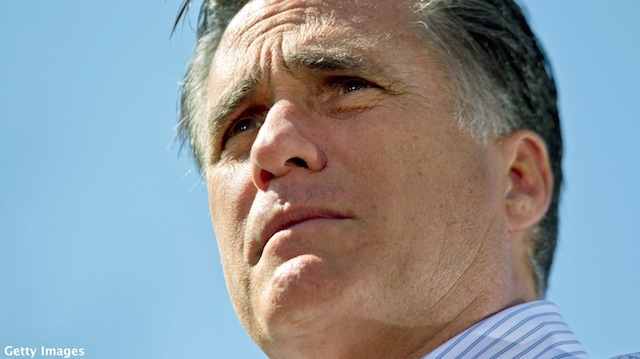 I despise Mitt Romney – he's a hot-head. He has no core. Just $$$$$ in HIS pocket. Romney unfortunately shows again that he is not ready for foreign policy, foolishly choosing to inject his political posturing at a time of tragic loss. this is the behavior of a desperate and dying campaign. He should produce his tax returns and quit flip flopping. And this is the moment Romney lost my vote. A US Ambassador is dead, the guy isn't even in the ground yet, and the Romney campaign is making this political. You are an empty suit Governor Romney, and you will do anything if you think it will get you to the White House. idiots who made that stupid film that started this mess. to think what his response would have been if he were President. No, what's disgraceful is Romney's distortion of the facts at a time like this in an attempt to gain political advantage. How incredibly disrespectful of those who have suffered and died to first and foremost attempt to turn it into a political opportunity.